Described by Enzo Ferrari as ‘the most beautiful car in the world’, Jaguar’s E-type has certainly turned some heads in its time - and that fashion continued in spectacular style this weekend. 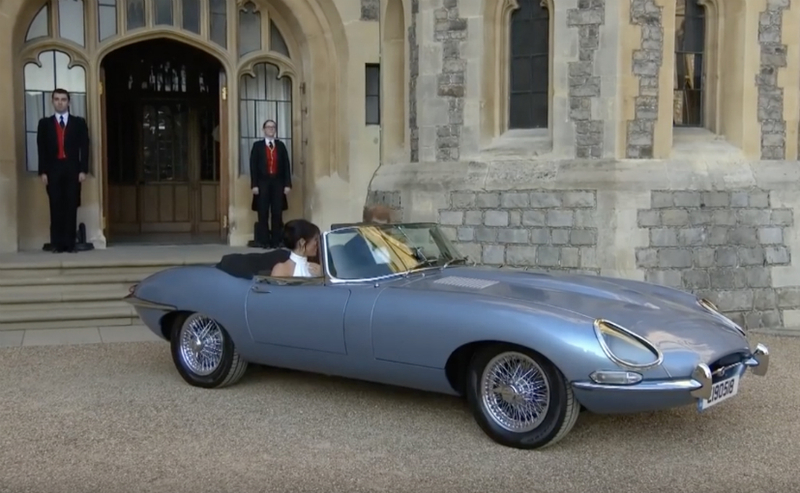 Though the occupants of the E-type in question were arguably the main reason that this spectacular vehicle was catching the eye, there was still a little secret hidden under the hood of Harry and Meghan’s wedding car. The looks weren’t the only thing electrifying about this E-type, the breathtaking design came with a cutting edge electric powertrain. The Concept Zero, as it is known, was engineered by Jaguar Classic at Classic Works in Warwickshire and is a clear demonstration of how even the oldest classic cars can be made future-proof. With a 40-kilowatt-hour battery and 295-horsepower electric motor, the sleek design and low weight of the E-type make for a relatively high range for the royally approved car. “Concept Zero combines the renowned E-type dynamic experience with enhanced performance through electrification. This unique combination creates a breathtaking driving sensation. Said Tim Hannig, Director of Jaguar Land Rover Classic. “Our aim with Concept Zero is to give Classic Jaguars a sustainable future in changing environmental and economic conditions. The E-type Zero was not the only high-end car on display by Royal command at Harry and Meghan’s wedding. The Bride travelled to the chapel in a 1950 Rolls-Royce Phantom IV State Car, whilst her mum arrived in a Bentley Mulsanne. The Queen’s vehicle of choice was a Bentley Golden Jubilee. What car would you choose for your wedding plans? Choose from more than 2,000 fantastic vehicles at Motordepot today.